Anyone fancy a Christmas date? Christmas is a time for inexplicable traditions, and none more so than the box of dates. When I was a lad (and rumour has it this was true in other homes), a box of dates was bought religiously each Christmas. It would then sit, glowering slightly, untouched. Rumour had it one of my grandmothers liked them - but I never saw one eaten with that strange plastic twig provided. Even the fact that the box has to give instructions as to what to do with them is a bit of a give away. 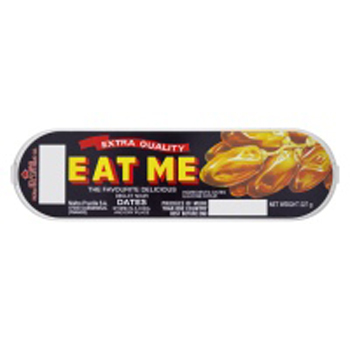 It's as if there was a danger, if not told to eat them, of trying to use them as double sided adhesive pads. I think the first Christmas with my own family we bought some dates, because we thought we had to. An old charter or something. But since then we never have. Instead, we have migrated to mixed pickles. For me, Christmas has to have a whole host of different pickles for the cold meat. But sadly the mixed pickles are often still there unopened by June. But why not? After all, it's tradition, and that isn't a bad thing now and again.